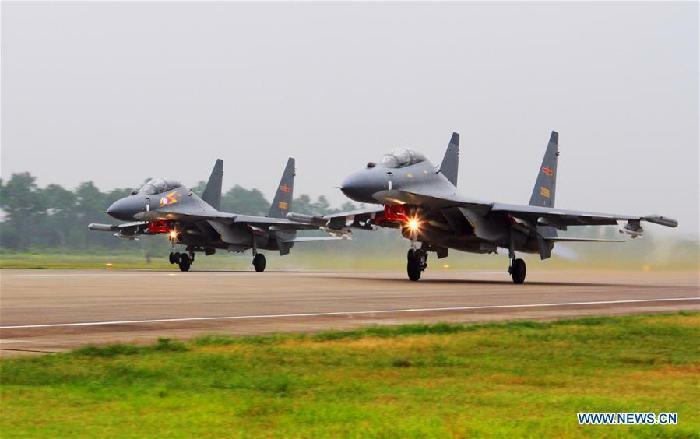 GUANGZHOU, 07 August 2016 Chinese Air Force aircraft, including H-6K bombers and Su-30 fighters, have completed a patrol of airspace above the Nansha and Huangyan islands in the South China Sea, said a spokesperson Saturday. 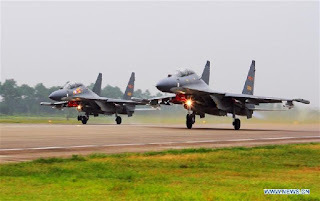 The flight is part of actual combat training to improve the Air Force’s response to security threats, said Senior Colonel Shen Jinke of the People’s Liberation Army (PLA) Air Force. Two Su-30 airplanes conducted air refueling twice above the sea, Shen said. 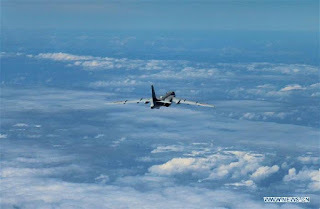 Several types of planes — bombers, fighters, Airborne Early Warning Aircraft, reconnaissance and tanker airplanes — performed the patrol, he said, adding that they took off from several airports. The aircraf have completed a series of training missions, including air defense early warning maneuvers, air combat and island patrolling, in a complicated electromagnetic environment, he said. The PLA Air Force, which was established 67 years ago, organizes regular South China Sea patrols to safeguard state sovereignty, security and maritime interests, Shen said.